AMD will release firmware updates for its processors to protect against the devastating Spectre CPU exploits that affect every modern computer, phone, and tablet. Unlike Intel’s flurry of CPU firmware updates, however, they aren’t being treated as critical must-install patches. When Meltdown and Spectre were uncovered, AMD said that its CPUs aren’t vulnerable to Meltdown, the first Spectre flaw would be resolved via operating system and software updates, and “differences in AMD architecture mean there is a near zero risk of exploitation” of the Spectre second variant. Nevertheless, while AMD CTO Mark Papermaster says “we believe that AMD’s processor architectures make it difficult to exploit Variant 2,” AMD now plans to patch its CPUs against it. 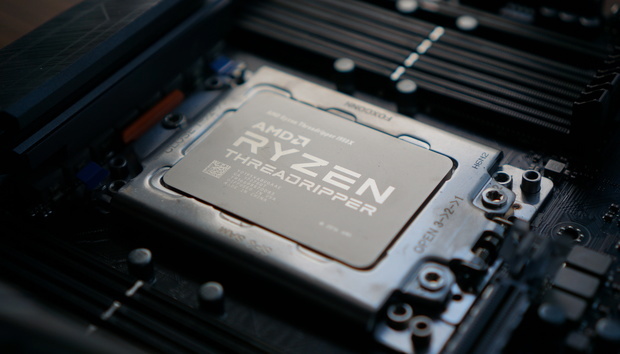 AMD will start releasing “optional microcode updates” (emphasis ours) for Ryzen, Threadripper, and Epyc processors to its partners this week, with firmware updates for older processors coming in the future. Like the Intel firmware updates, you won’t get AMD’s directly from AMD itself. Instead, you’ll need to download them from the maker of your PC, laptop, or motherboard through their support pages. But you might not want to be so quick to do that. When Microsoft said the Meltdown and Spectre fixes could slow down PCs, it specifically said Spectre’s second variant is the only one that requires a CPU microcode update—and that the fixes for the second Spectre variant are the ones that can affect your PC’s performance. Rushed firmware updates can be finicky too. Intel’s CPU fixes are making some Haswell- and Broadwell-based computers reboot more often, for example. If AMD says its processors have near-zero risk to the second Spectre variant and that these CPU updates are optional, you might want to hold off installing them until their potential performance impact has been tested and benchmarked in the wild, especially if you’re on an older PC or running Windows 7 or 8. Those systems suffer bigger performance hits with microcode patches, Microsoft says. Radeon graphics cards aren’t vulnerable to the Meltdown and Spectre flaws, AMD clarified in response to questions, since, you know, they aren’t CPUs. But Spectre attacks could use your PC’s software to exploit the processor flaws. Given how deeply GPU drivers hook into operating system kernels, we’d expect to see AMD release Radeon drivers hardened against Spectre, much like Nvidia has done for GeForce cards. Protecting against these CPU flaws is complicated, with fixes affecting your hardware, software, and operating system. Check out PCWorld’s guide on how to protect your PC against Meltdown and Spectre for all the info you need to know. And be sure to keep your system’s security strong; in these rocky days, keeping bad guys off your PC is vital. PCWorld’s guide to the best antivirus for Windows PCs can help you find the best security solution for your situation.